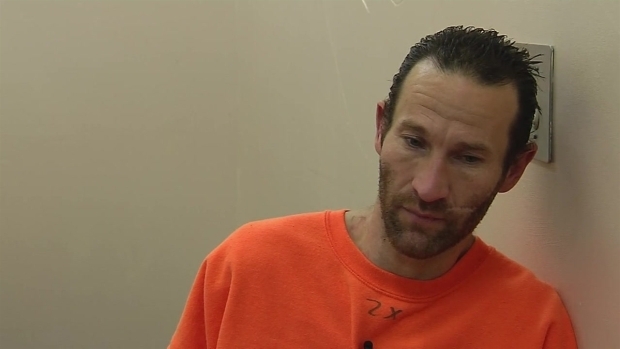 A man who was arrested last week on suspicion of planning a police shooting rampage in San Francisco said during a jailhouse interview Monday he was fully prepared to go through with it had the opportunity presented itself. 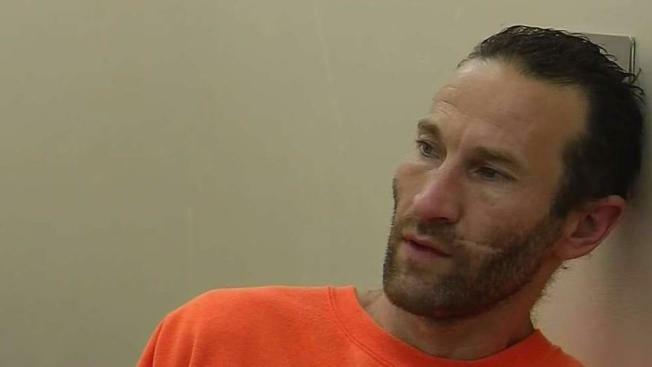 Dustin Hamilton, sitting in San Francisco County Jail, told NBC Bay Area he was angered after being forcibly removed from a homeless encampment along the Embarcadero. And he was moments away from opening fire on officers. "If I had about 50 feet between us or a few minutes warning, then I would have," Hamilton said about drawing his guns. Dustin Hamilton, a homeless man who was arrested April 5 after threatening to go on a shooting rampage in San Francisco, sits for an interview with NBC Bay Area's Sam Brock at the SF County Jail. Hamilton burglarized his parents home in San Jose on Wednesday, stole a shotgun and left behind a 20-page manifesto where he threatened to kill people in San Francisco and any law enforcement members he encountered, police said. Hamilton, who is diagnosed as schizophrenic, was reportedly off his medicine, police said. On Monday, a handcuffed Hamilton recalled the circumstances of his arrest, speaking with NBC Bay Area for nearly an hour about accusations that he planned on killing San Francisco police officers. "They’re probably going to charge me with a huge crime (for defending his space)," he said. Hamilton confirmed that he was prepared to kill officers or shoot officers if it meant protecting his territory. When it was asserted that he would be committing murder, he said, "Not if I would be defending the Constitution of the United States." Hamilton said his removal from the encampment violated his rights and "unlocked" his anger. "(Police officers) did interact with me and destroyed all my belongings, my $10,000 worth of belongings," he said. "Which is a lot for a homeless person!" Hamilton said he’s been arrested roughly 10 times in the past four years, all for living on the streets. Asked what he meant by wanting to stand up for his Constitutional rights, he said, "Um, to not let it happen anymore. To not let the 11th (arrest) go by. To not let the 11th time they tried to arrest me, go through." Hours before his latest arrest, Hamilton said he walked to the foot of the Bay Bridge and considered killing police before changing his mind and returning to Safeway for food.